So, probably the biggest mistake made in my industry is a home being piered that did not need to be piered and it happens so regularly that it breaks my heart. I’m not sure if we just have bad salesmen, or they’re just untrained, or they’re in the wrong church. I just don’t know what I see half the time, but it makes me sick to my stomach. You meet the nicest people in this industry, and sometimes they’ll whip the fire out of me. I’m in the house, I’ll be like what are you beating me up for? And they’re like, well you know what the roofer did to me? Well talk to me about that, let us know. I’m not against the roofers, I’m just throwing a rock. The point of the matter is, we don’t have to be tested. 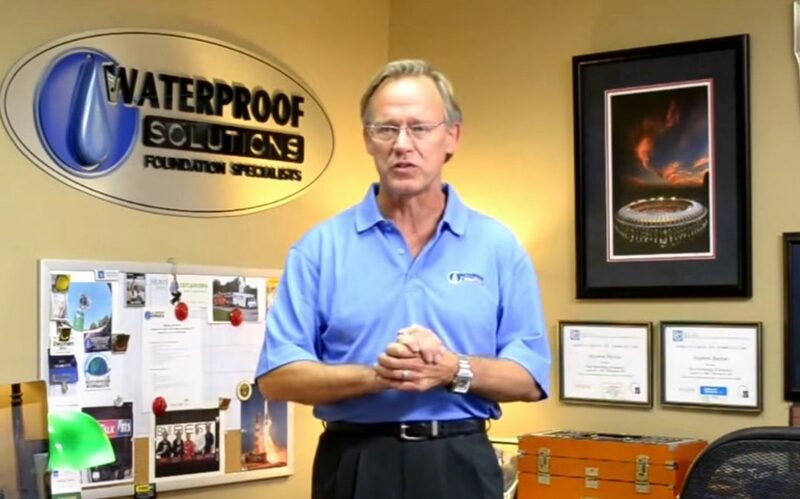 Yeah, you could be a waterproofer right now. You could be a foundation repairer right now, if you could get insured properly. You may be able to get people to work for you, that seems to be no problem. What type of pier do you even buy? I mean, how are you supposed to navigate these waters when the professionals in the industry don’t know how? Yeah, how many times have I been asked by an engineer or a real estate specialist or a general manager how to navigate the waters? Piering keeps something from falling down and away. Many times the walls are moving in. Piering doesn’t stop that. If you have diagonal cracks in your wall, that doesn’t mean necessarily that you need piering. Now if the cracks are open at the top on two of them, yes. You should be able to draw an axis of evil. But there is, there’s always an axis, two points that will show when something’s failing. So this axis will show you something. And how are you supposed to know what that is? So this is probably one of the biggest tragedies in our industry – the over use of piers and the misuse of the wrong type. There’s helical piers which screw into the ground, which is like telephone pole technology. It grabs something until it hits something strong enough. There’s push piers, which are steel shanks, maybe three inches around might be four, usually three. And they have a coupler which couples two pieces of steel together. Well when you’re jamming something in the ground to 4500-6000 PSI, what does that mean anyway? It’s a nice number on a piece of paper, but that just means they went to that much resistance. And don’t let them tell you they’re going to bedrock. For crying out loud, you’re not even supposed to build on rock. But the propaganda is terrible. There are bell bottom concrete piers, those are a stable pier that sit on the right they work very well. Now every one of those piers have a place in this industry, I am not going to say that they don’t. But the easier ones are used well too often and they don’t work. Just like some of the tie back situations when a wall moves in, the sister to piering is tie back plates and bracing. And that seems to be the biggest mistake made is trying to figure out which is going on or both. Carbon fiber can be used to help but sometimes it takes an old fashioned H beam. And you have to have the guts to say it, you don’t set it on top of the footing you put it in a pier lathe. You don’t put on one floor joist you spread it over three. So when somebody wants to talk about doing something that’s easy, be careful about that. There’s nothing easy about my industry. If it were easy everyone would do it. And it’s amazing how many people have jumped into my industry. Quite frankly a large percentage of my work is following them. I don’t have to argue about that at that point, but let’s stay in front of that. You know, I’m not the only one out there that knows what’s going on. There’s good people out there that have good information. Make sure you’ve got a good communicator that just doesn’t pat you on the head and says cause that’s because. That’s not how this world works, especially not Missouri, it’s the Show Me State. You show me why. At the end of the day, I feel angry sometimes at my industry because of the people that are hurt. But we do make that difference and I’m proud to say that and I’m proud to help. So if you need help, if you’re not sure what to do, don’t hesitate to call me. I will come out. I’ll never be that busy, and I appreciate your time. Thank you.